Everyone wants to be wealthy but the sad reality is that not everyone can eventually achieve it. It is because many do not have the grit to endure and achieve wealth. When you are deep in $50,000 debt and your net worth is negative, you will find it difficult to think that THERE IS a possibility of eliminating the $50,000 of debt. Your lofty goal of achieving $1 mil in net worth looks so far away. It is better to to make myself happy now since thinking about this $50,000 of debt makes me so sad. There is no way I could be able to clear it. Why am I thinking of such negative things? Hey it looks like there is another Taobao sale happening now, lets see what I can buy to cheer myself up…..
You may have seen the above conversation taking place with yourself, or overhead a co-worker or relative going on with their problems. Wealth Problems looked very difficult to overcome that procrastination take place. The easier route is to chuck the problem aside. This is not constraint to wealth problems. A career that goes nowhere, weight that skyrocketed and more and more health problems. Why do some overcome such big problems in life to build vast amount of wealth, while others continue to degenerate from the same point? And I will go through some tools that will help you become more gritty, more determined about building wealth. Because you are doing something that is more challenging then what you are used to. You are doing something that is not easy. You are doing something out of your comfort zone. The difference that separates those who manage to build wealth and those who still give themselves excuses, or procrastinate on things is how motivated. A strong determination to overcome allows you to push through many barriers that were stopping you from achieving your goal. Does Wealth have a high priority in your Life? Motivation like all things is a meter. You are normally not always unmotivated about having more money, or you are not driven with insane thoughts of making a huge pile of money. Most of the time you have little motivation about building wealth. You THINK you are motivated, but you are not. You are just a little motivated. You are in debt, you told your girlfriend that you will not get into debt once you pay off the debt, but when you see a limited edition Playstation 4, you beg your girlfriend to let you buy it. What are the similarities with the evidence? There is little actions that show you place Wealth as a PRIORITY. If I go through a plan with you, showing you step by step what you need to do, to change in your life so that you can start building wealth, and continue to build it, what is the probability you believe you can successfully reach your wealth goal? What if I capture and take your son away, and said that if you do not have that sum of money, you are not going to see your son again? Your motivation level is likely to be closer to 100%. We all have different motivation levels and having more of it makes you more likely to push yourself towards the goal. And strong determinations translate into ACTIONS. You may want to help a friend who is deep in debt, or unable to save money. How do the person’s motivation level change? Usually people wake up and feel a need to cut away their pain when the pain threshold build up to a certain level that becomes intolerable. The hardiest of people who are most stubborn and unwilling to listen to you softens when they have no other places to turn to. If it is a good friend or a family member, be around them, do something not directly connected with them to place a marker in their head that you tend to have solutions to these type of problems, or you are the most rational thinker in the group of friends or family member. When the time comes, it is easier to bridge the connection and provide the encouragement, the systems/processes and the environment to increase their motivation and make the decision to improve their state of wealth. This sounds very manipulative but to be able to influence the person to increase his or her motivation, they got to trust you first. If not how else are you going to get started. Some of the most difficult folks to tackle are sensitive people, and they probably do not listen to much people, except people they respect a lot. That would probably mean carrying yourself in a manner that people look up to. This doesn’t always work, if not find out what the person respect more, convince the person to shift his thinking. In my experience, many drug addicts or folks in deep problems change when they reconnect with their faith or develop a connection to a particular faith. For people deeper into their faith, they have more trust in the messages conveyed through their faith. It would be easier to shift the person’s beliefs and values through religious teachings to be more aligned with the importance of building wealth. Whether it is helping another person or motivating yourself, what can be a valuable tool is shifting the beliefs. Cayden Chang from MindKinesis shared with me that while the Spiritual level and a persons identity might be difficult to connect and change, strategic shifts in a person’s belief and values can be carried out. Often this involves imagining the positive feelings that reaching such a state of wealth can bring to you or the person. When we do not have knowledge or wisdom, we sometimes think that, to get to where we are satisfied, we need a sum of money that look so far away. Because the goal look so far away, we do not have enough motivation to work towards it. Many software engineers in the USA said that their motivation level shifted to a higher gear, when they realize the goal to reach financial independence is closer than they think. 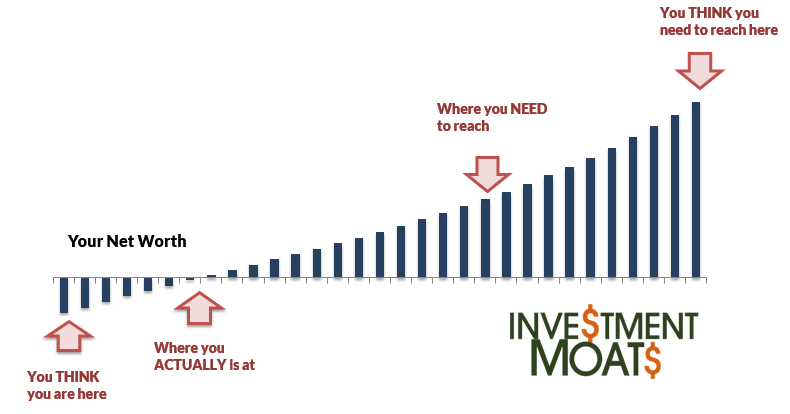 Over here at Investment Moats, what we do is to let you know how to know where you are and how to work out where you needed to get to, to reach the state of wealth to match your aspirations. When we do not have the facts and knowledge to work things out, goals look far and motivation level is low. But what if you realize that you can gain Financial Security with just $300,000 for a single person? Perhaps for a person earning $80,000 a year, it could be motivating for you to save 70% of your income for 5 years to reach that goal. Grit is a trait in us that is seldom talked about. Perhaps because we tend to favor IQ and being smart in our society more than anything else. However, what if a smart person encounters failure without grit? Grit is the character trait in us to be very determined to ENDURE FAILURES and push past them to reach success. Many of the worlds top business people have to learn from each of their failures to reach where they are now. That is Grit. It isn’t something that is taught a lot in today’s school because it doesn’t condone failure and trying. It is mostly in failure that you learn what doesn’t work in this situation and how we can pivot. If you have grit, you will push through and find what works. In wealth building, smarts is important but you do not build and retain wealth based only on smarts but also strong determination to stay the course. You need Grit in Wealth Building. Ask yourself the same question again. 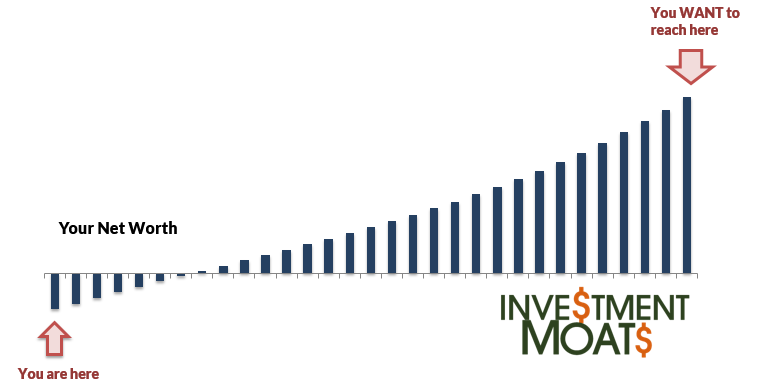 How motivated are you to build wealth? Be truthful to what extend you are willing to go. In life you don’t have to have a large amount of wealth, and that is OK. But if you want a certain amount of it, you got to be determined enough to prioritize your life to get it. Determination acts as the rocket fuel to to push you along wealth building, but motivation and determination alone is NOT ENOUGH. I will be going through the other 3 key ingredients that determines your success in building wealth. P.S: you will realize you can easily replace building wealth with getting a trim stomach, removing anxiety from life, eating healthy or having a wonderful career. The ingredients to having lots of money are the same for other life goals as well. I ran a Dividend Stock Tracker that Updates Nightly the dividend yields and various metrics of the popular dividend stocks such as Blue Chip Stocks, REITs, Business Trusts and Telecom Stocks In Singapore. Start bybookmarking it and view it daily. May be some of them haven’t meet real person with real story to share with them without marketing gimmick. I agree. The task seems more difficult or impossible for ppl actually in the situation. Motivation will best come from someone who has been thru it and succeeded climbing out of debt. the problem is motivating them to even start. that is a challenge always. Yes, the key to financial independence is our saving rate and our expenses. Our savings rate is dependent on our savings motivation. 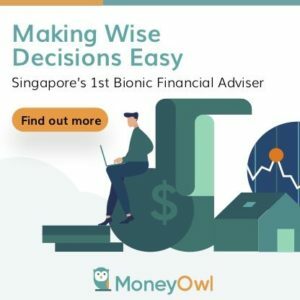 •	Breaking the 30k mark – feeling more motivation to save. Became more active in saving. turned into a penny pinching monster and hanging out in frugal sub in reddit. •	Breaking the 50k mark – full scale hoarding taking place. I think it becomes easier to save when there is a decent balance in our piggy bank. hey colin, thanks for this! i somehow think that its so much hurdle to ever be successful by motivation. i think the other ingredient is much more conducive. i felt that a system and motivation together works better.